The first stage in getting a user to become reliant on your product or service is to get them to use it more than once. This is the first stage of customer retention, and without it most businesses would fail. 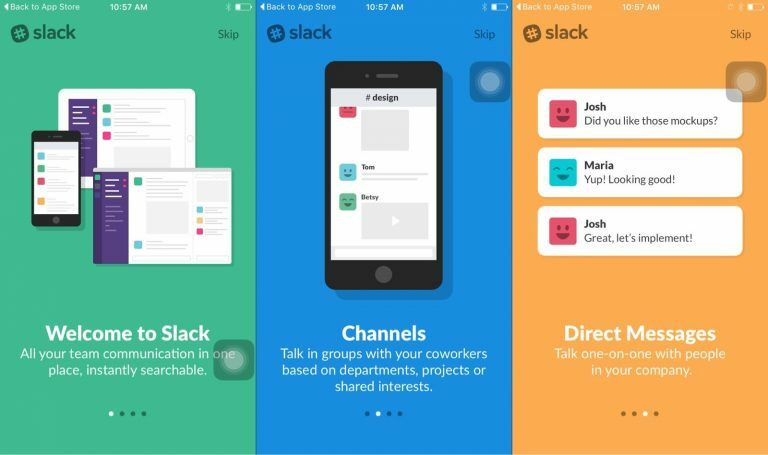 If you’re struggling to retain your users, onboarding could just be your new best friend. It’s the process that users are taken through when they use a product or service for the first time, and the objective is to hold their hand and prevent them from becoming confused or overwhelmed, thus increasing the likelihood that they’ll return another day. A good onboarding process is like heroin – it gets your users hooked so that they keep coming back for more. Using apps as an example, the latest stats show that the average app loses 77% of its users in the first three days after download. Wowsers! That’s enough to put just about anyone off starting a new app project. The good news is, this figure can be significantly reduced by implementing an onboarding process within your app. Here are the three types of onboarding that you should consider before you get started. Coach screens are one of the most common forms of on-boarding, mainly because they’re so straightforward to implement. You’ve likely seen them many times before – they are the first screens you see when you open an app for the first time, usually presenting you with highlights of the app’s key functionality so as to make the benefits of using the app clear to the user. 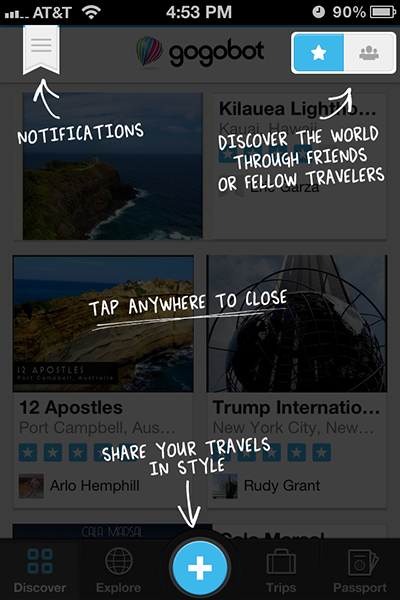 They’re normally presented as a carousel that you can swipe through before entering the app’s main landing page. Coach screens offer a relatively simple way of on-boarding users, though arguably they are also the least effective method when compared to other options; once a user has finished reading through a set of coach screens, they are often then left to their own devices from thereon in. The main advantage of instructional overlays is that they explain things to users in the context of the app itself. The downside however is that they often explain multiple features all in one go, which can be a lot to take in if you’re a new user. And to add to that, once the overlays have been dismissed by the user that’s usually the last time they’ll see them, so we just have to hope they were paying attention. 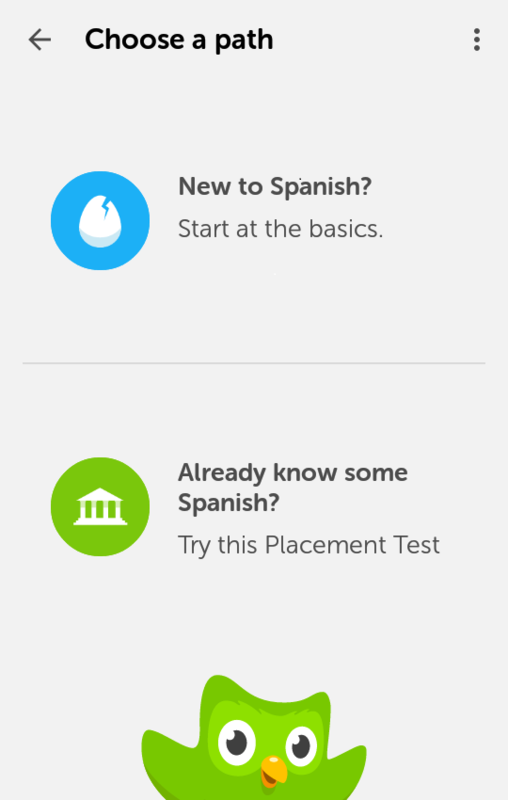 Notice that with Duolingo, you actually start learning how to use the app before you’ve even created an account, and even then, you can continue as a guest until you’re ready to commit. 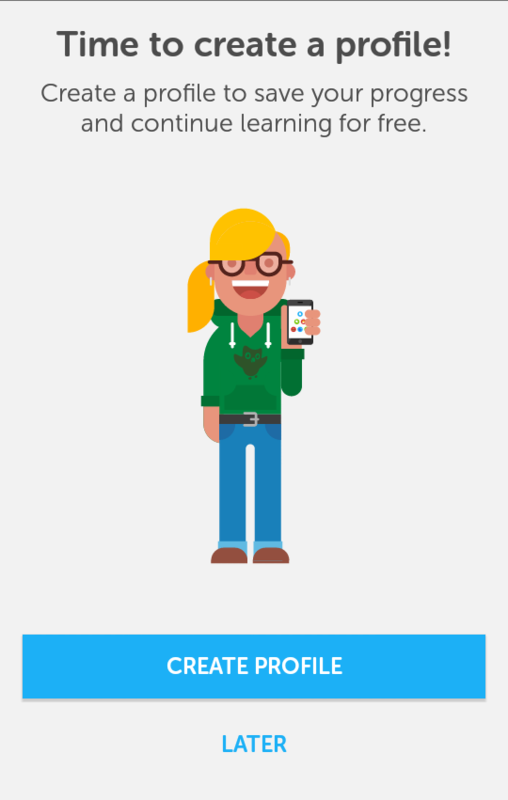 ather than telling you what to do, Duolingo lets you do it by yourself. Not only is it an easier way for users to become familiar with the app, it also lets them see the benefits of using it right from the word go. Getting a user to download your app is one challenge, but getting them to stick around and use it time and time again is another kettle of fish altogether. The onboarding process is fundamentally linked to user retention levels, and so getting it right is vital if you want your users to come back. Onboarding is designed to help users understand your product or service more quickly, and in-turn increase the likelihood that they adopt it longer term. If you’d like to find out more about onboarding best practices and how to get your users addicted – drop us a line.